Dedicated to the family history, community and genealogical research of the Charles C Rich Family. This is the place for descendants of Charles C Rich to share information about family events, genealogy, history, etc. If you have any photos, we will soon have a way for you to submit them online. This site is intended to be a place to find or share information and to allow the cousins to connect. Education was important to Charles C. Rich. In his honor, this year two $500 scholarships will be awarded to two of his descendants to help with college expenses. One scholarship is for a first or second year student, and the other is for a third year on student. If you know of a qualifying descendant who may be interested in applying for the scholarship please let them know about this opportunity. Applications will be accepted between May 1-June 30, 2019, and the recipients will be announced by August 1, 2019. This year we will be awarding two $500 Project Grants. The two $500 project grants are open to any descendant of Charles C. Rich, regardless of age. Our goal is to motivate descendants to choose something that will be of value in some way to the members of the family and preserving our heritage. 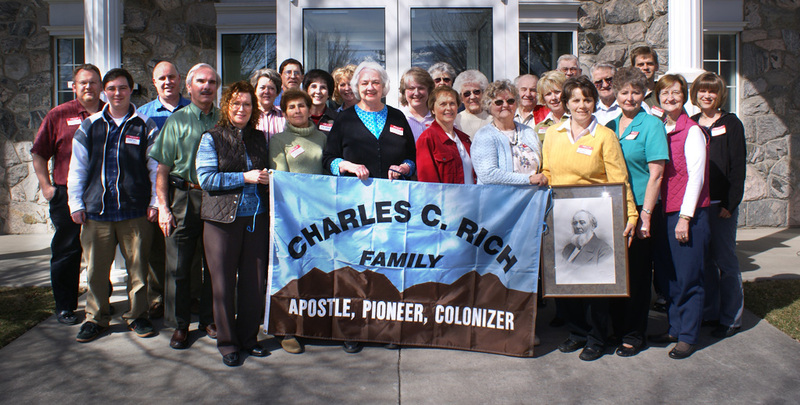 The project needs to be related to the heritage of Charles C. Rich or his wives. Some ideas are: a service project, genealogy research, traveling to and documenting a site, collecting and consolidating DNA results, writing a script or working on a video about the family, or something you build, sew, quilt, crochet, paint or draw that could be put on display. Any descendant of Charles C. Rich, of any age! Email the completed application from the following page to ccrichfamily@outlook.com. Subject line: Rich Project Grant, by midnight on June 30, 2019. Applications will be accepted between May 1-June 30. Late applications will not be accepted. A confirmation email will be sent to all applicants. If you have any questions please send those to the email address above. There is a copy of the video that was created for the reunion about Charles. You can watch it there or download it. The wind was a bit loud at times, so the script is attached below. 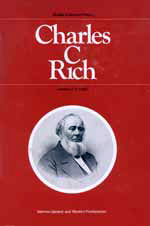 Look for the "Charles C. Rich Family Association Group"
This biographical sketch adapted from Utah History Encyclopedia. In 1838 Rich married Sarah DeArmon Pea (1814-93), and the couple settled near Far West, Missouri, until driven to Nauvoo, Illinois, in 1839. 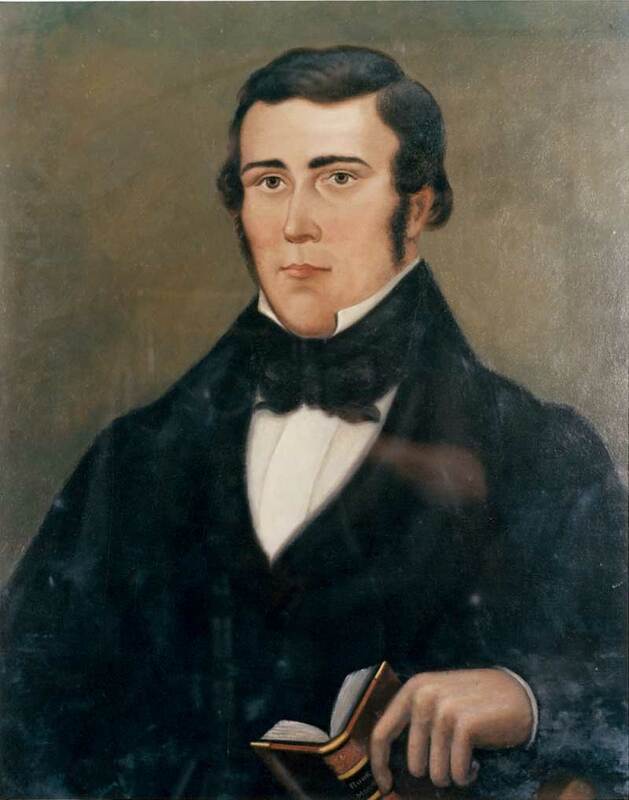 Elder Rich served as a counselor in the Nauvoo Stake, sat on the Nauvoo City Council, and was one of the original members of the Council of Fifty. After the death of Joseph Smith, Jr., in 1844, Rich rose to the rank of major general in the Nauvoo Legion. As a church leader, Elder Rich followed the doctrine of plural marriage, taking three additional wives in 1845: Eliza Ann Graves (1811-79), Mary Ann Phelps (1829-1912), and Sarah Jane Peck (1825-93). Before leaving Nauvoo in 1846, he married Emeline Grover (1831-1917); and in 1847 at Winter Quarters he took Harriet Sargent (1832-1915) as his sixth wife. In 1846 General Rich helped organize the Mormon exodus from Nauvoo. After a winter at Mt. Pisgah, Iowa, Rich was named military leader of the 1847 Emigration Company, which followed Brigham Young's Pioneer Company into Salt Lake Valley in October 1847. On the 5th of October, Nancy Rich, the mother of Chas. C. Rich, died; she was the first adult of the Saints who died in the Valley. The family soon commenced to get logs from the canyons to build houses, and while this was being done they lived in their tents and wagons. Elder Rich served as a counselor in the Salt Lake Stake presidency and as a member of the Council of Fifty. 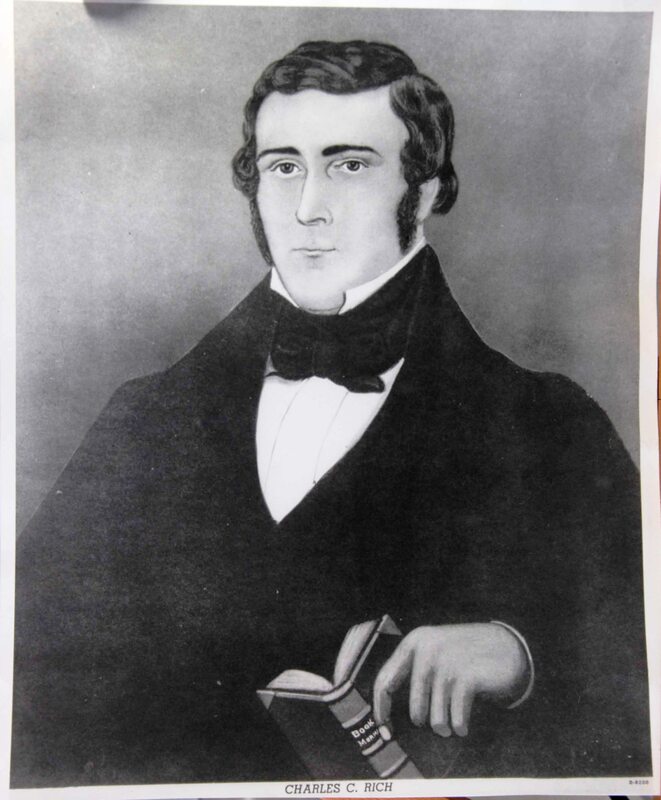 He opened a farm in Centerville in 1848 and the next year, at age thirty-nine, was named to the Quorum of Twelve Apostles. 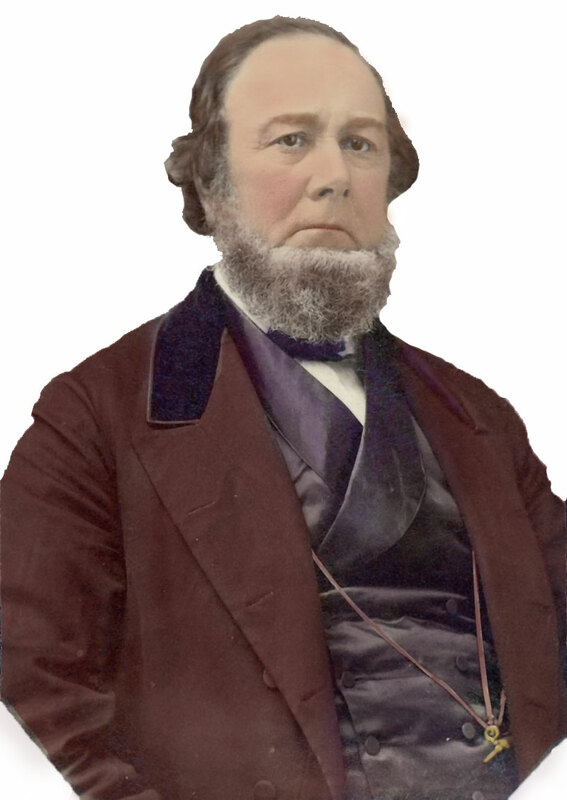 In October 1849 Elder Rich accepted a call to assist Amasa Lyman in supervising Mormons in California. Between 1851 and 1857 he and Lyman established a relatively prosperous economic colony at San Bernardino, which served as a way-station for immigrants traveling to Utah via the Spanish Trail. Recalled in 1857, Rich moved back to Centerville. 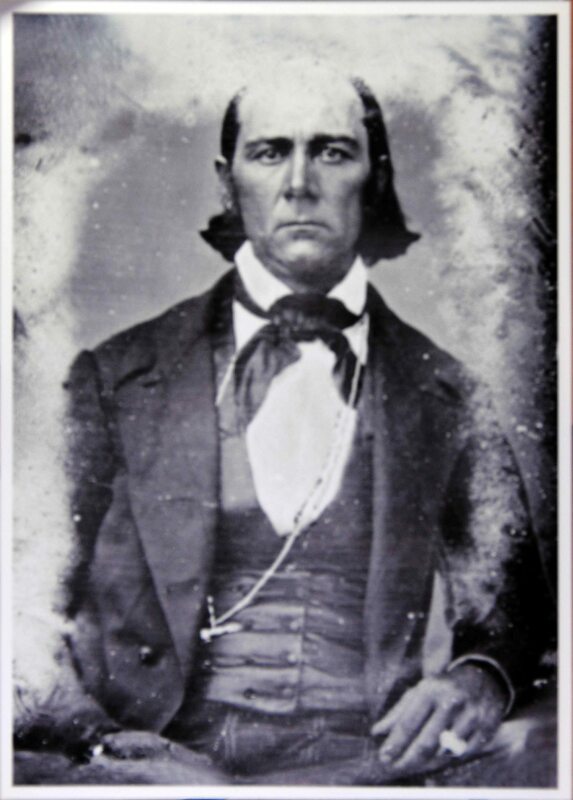 He represented Davis County in the territorial legislature and served as aide to General Daniel Wells of the Nauvoo Legion during the Utah War. 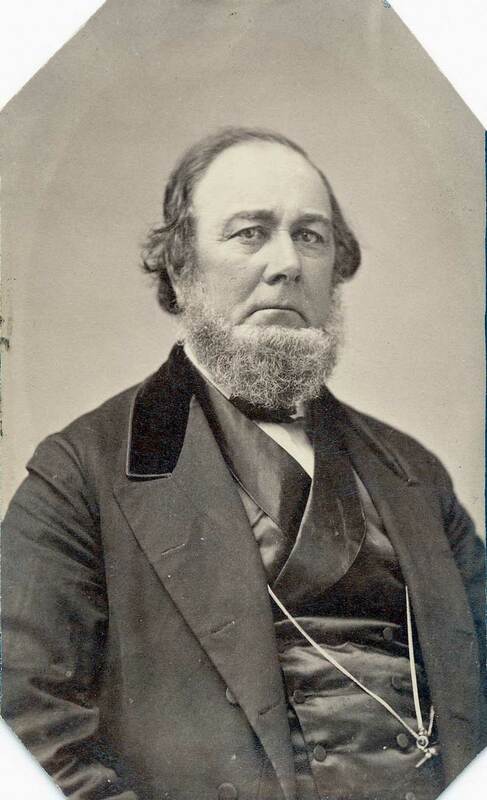 Between 1860 and 1862 Rich joined Lyman in England to oversee the Mormon Church's European Mission. 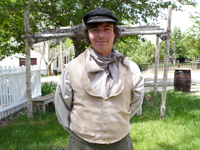 After a one-year respite in Centerville, Elder Rich accepted Brigham Young's call to colonize the Bear Lake region against the threat of non-Mormon settlement. In September 1863 Elder Rich led his party from Franklin, Idaho, into Bear Lake Valley, settling at present-day Paris, Idaho. In 1864 Rich moved his six wives and thirty children to Paris and began a twenty-year struggle to maintain the colony in the face of severe winters, poor harvests, delicate Indian relations, and isolation. 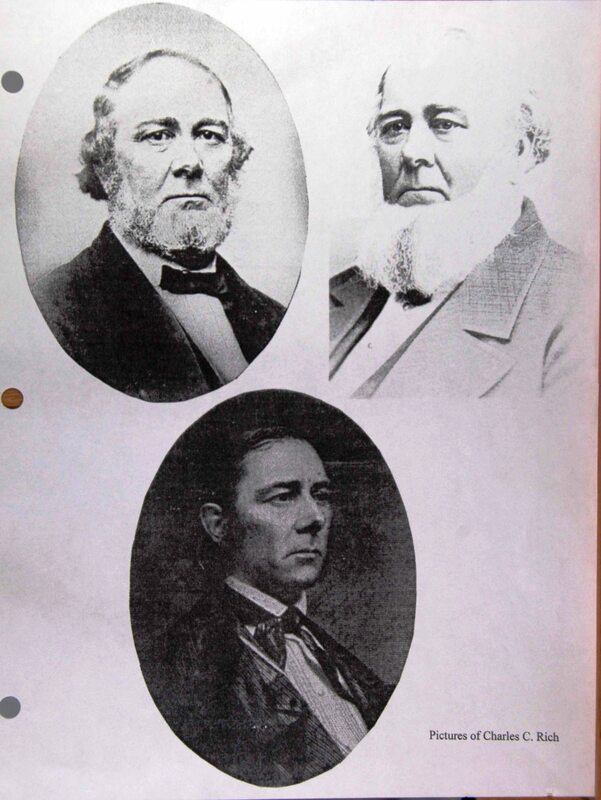 In 1864 Brigham Young honored Rich by naming Rich County, Utah, and the town of St. Charles, Idaho, after him. Between 1864 and 1872 Elder Rich represented Rich County in the Utah territorial legislature, until it became clear that most of the Bear Lake settlements were in Idaho. He remained an active Democrat in local politics and, as a Mormon apostle, supervised both the religious and secular lives of Bear Lake settlers. Elder Rich was organizing the colonization of Star Valley, Wyoming, before being partially paralyzed by a stroke in 1880. He died three years later, on 17 November 1883 at the age of seventy-five, the father of fifty-one children and grandfather of eighty-five. 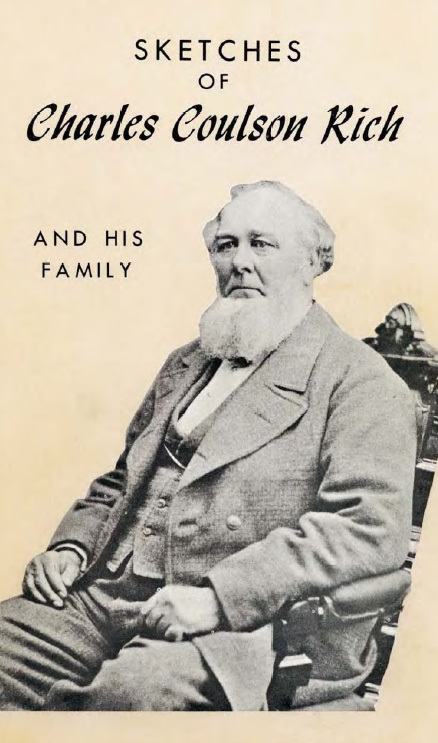 Although Charles C. Rich spent relatively few years in Utah proper, he was a major figure in the settlement of Utah and in the social and political history of "Mormon Country."